Even when you have zero energy to cook, dinner doesn’t have to be something you picked up at the nearest fast food restaurant. Cooking dinner at home not only saves money but can save time too. By preparing easy recipes, you can get dinner to the table in no time. Twice a month, I set aside one hour out of the weekend. I use this hour to plan out our meals for the next 2 weeks and make a grocery list. By planning ahead, I am able to keep our grocery budget in check and save time in the long run by not making several trips to the store. Side note: check with your local grocery store to see if they offer curbside pick up. You can order everything online, and then all you have to do is drive to the store and pick it all up. I have used this service at our local Wal-Mart, and it really did save lots of time. The last thing I want to do after a long day of work is cook a meal that is super involved. I don’t have time to chop fifteen different vegetables, or pull out a ton of ingredients. When I meal plan, I will either choose a crockpot recipe, a 5-ingredient recipe, or a one pan recipe. None of those categories mentioned are usually very difficult to cook and go together in a short amount of time. If you stick with only easy recipes, pretty soon you’ll have a whole arsenal of recipes to choose from when you are too tired to cook. It also helps a ton when you’re able to use a proper chef knife. It makes food prep so much faster. But no two chef knives are alike. Check out this chef knife guide for more information. 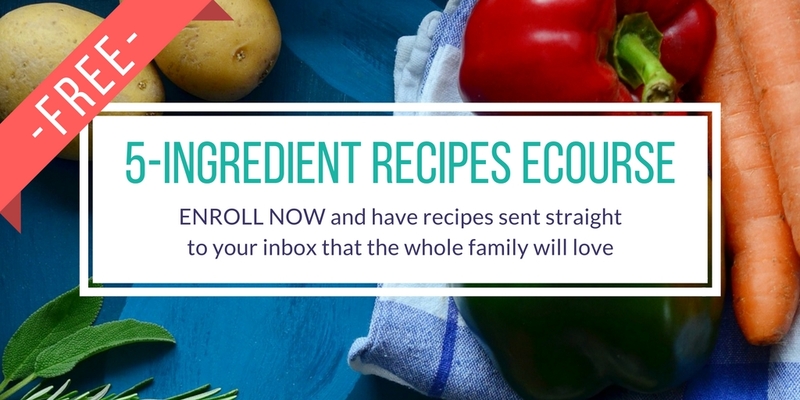 You can also start preparing right now with your stockpile of easy recipes by enrolling in my FREE eCourse. 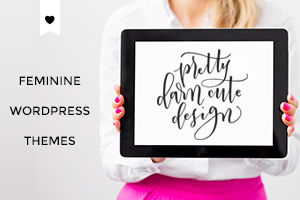 Every morning for a week, you’ll receive a “tried and tested” easy 5-ingredient recipe straight to your inbox. Click the image below to enroll. It’s always a bummer when you get home and realize that you forgot to lay out a very important ingredient for dinner that night. When I complete Tip #1 and meal plan, I set up a very loose calendar of when I am going to cook what. 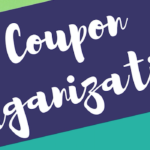 This allows me to think ahead and know that I need to set out certain ingredients or defrost meat from the freezer the night before or the morning of that planned dinner. Thinking ahead will almost inevitably prevent this from happening. Keeping a calendar of your meals makes it one less thing you have to remember too. If you buy meat in bulk, place recipe amounts in separate containers or ziplocs, then freeze. Not only will you already have your meat portioned out for each meal, but it will also defrost a whole lot faster because it’s in a smaller amount. Ground beef thaws so much faster when you flatten it in a quart ziploc rather than the way that it’s packaged at the store in one large chunk or tube. Similar for chicken, buy chicken tenders rather than chicken breasts. The tenders thaw quicker allowing you to get started cooking much sooner. Once you have made several easy to prepare recipes, you’ll have ones that your family will gravitate towards and ask you to make over and over. In our house, we like tacos. They are so easy to make and can be changed up in lots of different ways. Without fail, we always have the ingredients on hand to make tacos. I make my own taco seasoning, so I don’t ever have to worry about not having a “packet of seasoning” on hand. For us, tacos are our “go to” meal for those nights we get home later than expected, and we don’t have the time to cook anything else. Keep your pantry stocked with your family’s favorite easy meals, and you won’t have to worry about not having a meal to cook even when you are tired. This tip is pretty self-explanatory. When I have to chop up vegetables for a recipe, I usually try to chop up twice as much as I need. I put half in the recipe and the other half in a container in the freezer. The frozen chopped veggies in the freezer make the prep for the next recipe that much easier. Not only can you double the veggies you chop, but double the recipe too. You then freeze half of what you made and enjoy the other half for dinner that night. I oftentimes use this tip with casseroles because they freeze so well. To save yourself from losing a dish to the freezer with a casserole in it, put a large piece of foil in the pan overlapping the edges before you place all the casserole ingredients inside. Once the casserole is frozen, lift it out of the pan with the foil and wrap more foil around the casserole to stick back in the freezer. This frees up your pan to use sooner rather than later. With most of the meals I prepare, there are some leftovers, but not enough leftovers for an entire family. If you make meals that have leftovers and those leftovers don’t get eaten right away, you eventually have a variety of leftovers for everyone to choose from. We call this “fend for yourself” dinnertime. It really makes it easy for me because I don’t have to cook, and everyone finds something for themselves. It’s a win-win! If there aren’t enough leftovers from different meals, then the family knows that they just find something in the pantry to make. Sometimes it’s a PB & J sandwich, or a bag of popcorn and cheese slices, or even a bowl of cereal. 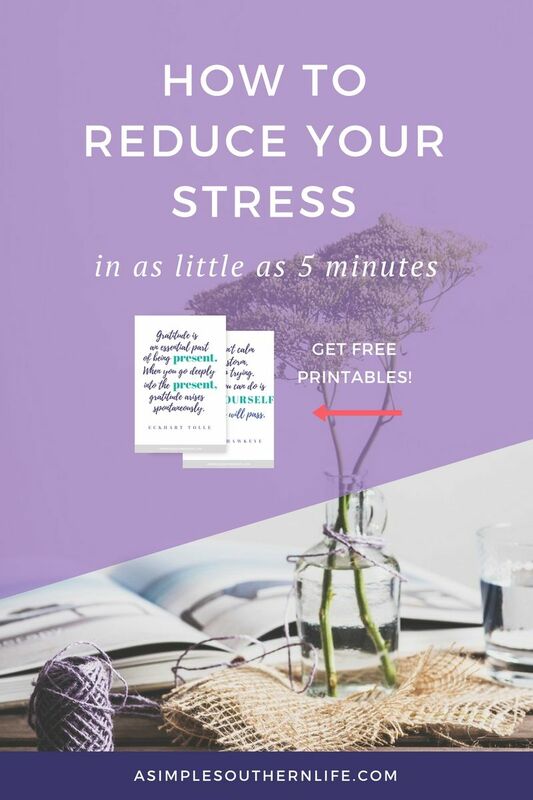 I do want to say that I don’t live in a perfect world, so I definitely don’t follow all of these tips ALL the time, but I strive to whenever I can. 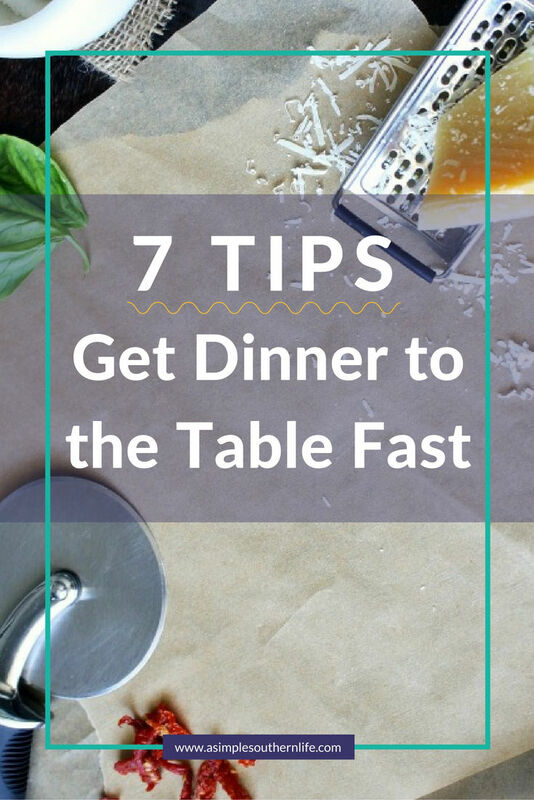 Most of the time, we live by Tip #7, especially during the busy seasons of the year. 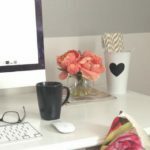 I have found though that when I stay consistent following these tips, our dinnertime routines become less stressful. 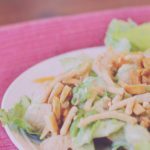 If you want an easy recipe to add to your dinner rotation, this Asian Sesame Chicken Salad is one of our family’s favorite salads. Don’t skip the crunchy almond topping. It adds a great subtle flavor with the rest of the ingredients. Need more easy recipes the whole family will love? 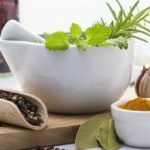 Sign up for my FREE 5-Ingredient Recipes eCourse. I’ll send you a new recipe each day for 5 days. Click the image below to enroll. 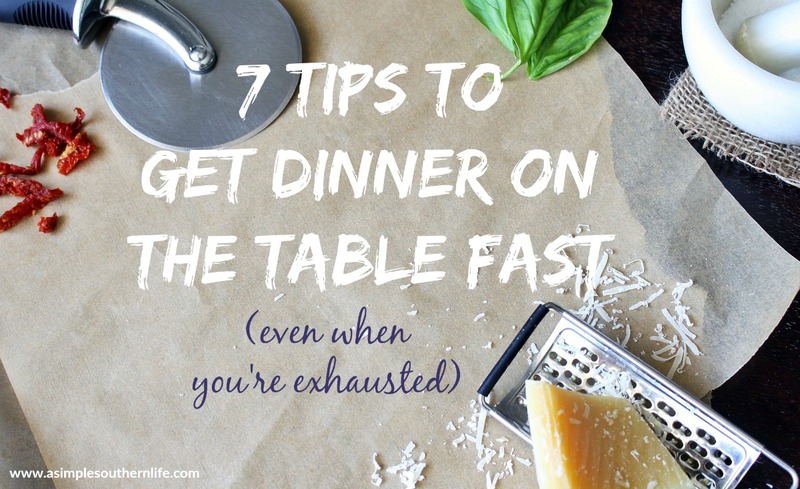 I hope these tips help you speed up dinner! Even small changes can make a big difference over time. What are your family’s favorite “go to” easy recipes? Let me know in the comments.